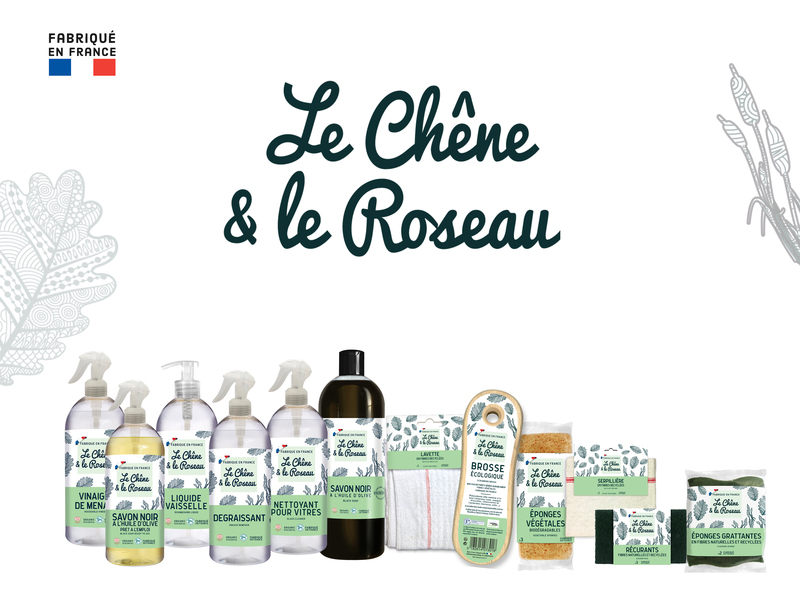 Le Chêne et le Roseau, a complete range of ecological and organic cleaning products, has been launched in 2018 by La Compagnie du Midi. EFFICIENT & ECOLOGICAL CLEANING PRODUCTS, IT’S POSSIBLE! – products incorporating ingredients from Organic Farming, that is to say without GMOs, without chemical fertilizers or pesticides. – Our desire with this device is to reduce the quantities of packaging produced, give the opportunity to buy the right amount of product according to its needs and support a reasoned, responsible and sustainable consumption. 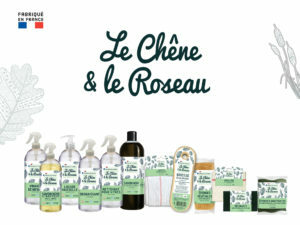 Le Chêne et le Roseau is a ecofriendly brand committed with a strong societal approach: 1% of the turnover realized by the sale of the products Le Chêne & Roseau is donated to the association “The Agency of the don in Nature” form traditional Marseille soaps for people living in precarious situations..